Alaves are winless in their last four La Liga games and now find themselves on the outside of the top four. Since matchday 19, Alaves have slipped from fourth to seventh in the table. They are now four points off of the Champions League places. 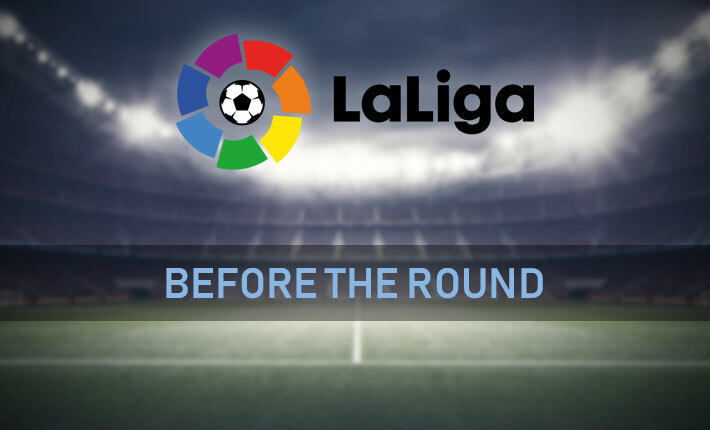 Monday night, Levante will make the long trip from Valencia to the Basque region to face Alaves. While Alaves are fighting for Champions League football, Levante are simply trying to distance themselves from the relegation zone. Levante are just four points above the bottom three going into matchday 23. Inconsistency has been Levante’s biggest issue this term. The club strung together a four-match winning streak in October which saw Paco Lopez’s squad pick up an unlikely victory against Real Madrid at the Santiago Bernabeu. Since the end of October, Levante have won just twice in La Liga while losing five times and drawing five games. Lopez has watched his team go without goals in its last two matches. Sevilla hammered Levante 5-0 before they were held to a nil-nil draw against Getafe in their last match. Despite a recent lack of scoring, Levante has scored the sixth most goals this term (32). Their real downfall has been in defence as they lead the league in goals conceded with 40. Meanwhile, Alaves have tallied La Liga’s third fewest goals (22). Defensively they have been solid with 27 goals conceded, the league’s ninth fewest. Levante do not travel well. They have lost three straight games on the road. Only twelve of 33 possible points have been obtained in away fixtures. They will have difficulty overcoming Alaves as the hosts have only lost once at home. Abelardo’s team has won 19 of 30 points possible at the Mendizorrotza Stadium. The venue has been a fortress for Alaves and is a key reason for their lofty standing in the table. Since Deportivo Alavés returned to La Liga in 2017, they have won two of their three meetings with Levante. Last season’s game at the Mendizorrotza ended in a 1-0 Alaves win. Although Levante won the match between the two sides earlier this term, Levante were in far better form. The win came in late September and it kicked off Levante’s four-match unbeaten run. Monday’s game will see Alaves rebound from their recent losing streak with a win over Levante. Lopez’s team doesn’t travel well and Alaves have been brilliant on their home turf. Levante will endure a third straight scoreless match as Alaves get the goals and the win.